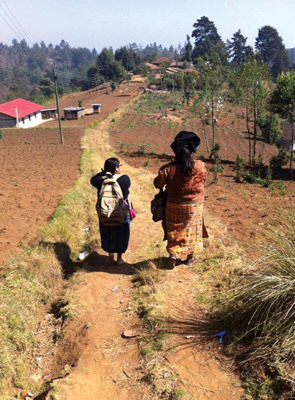 Celebrating 15 years of service WINGS provides quality reproductive health education and services to underserved, primarily rural Guatemalan youth, women and men. 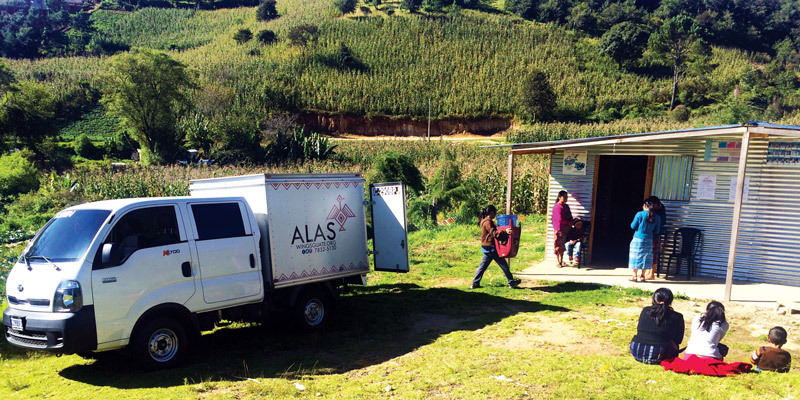 On an average of 18 days each month, two mobile units leave their home base in either Cobán or La Antigua Guatemala between 4 and 5 a.m. to drive up to four hours to reach a rural, largely indigenous community and provide reproductive health services. Included in those services are family planning counseling, provision of any family planning method available in Guatemala (except tubal ligations and vasectomies, provided by WINGS (ALAS) in other facilities), and cervical cancer screening. The activities exemplify WINGS’ commitment to reach isolated rural areas and our staff’s determination to fulfill that commitment. Costing an average of $25,000 per month, the units represent a significant portion of WINGS’ annual budget. To expand our direct service provision, last year WINGS opened two stationary clinics (in Antigua and Cobán) and this year added one more (in Sololá). These clinics provide the same services as the mobile units. In addition, WINGS personnel travel to nine areas of Guatemala on a regular basis to provide tubal ligations and vasectomies. 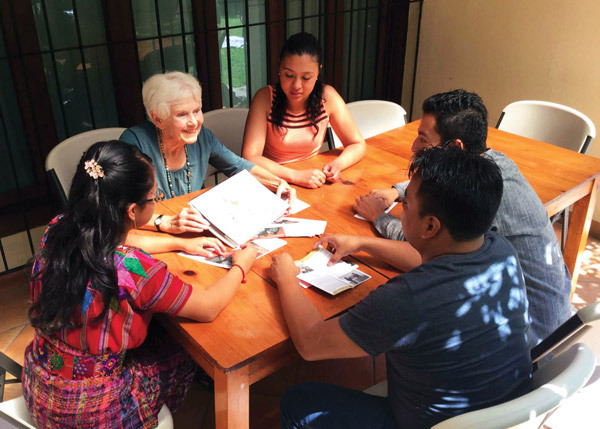 Our policy is to provide counseling on all family planning methods available in Guatemala and help the client decide which one is best for him or her given age, marital status, preparation for pregnancy, and desired number of children. To date the most popular methods are the three-month contraceptive shot, the five-year implant and the tubal ligation. Our hope is to increase uptake of the IUD, which protects against pregnancy for 10 years. 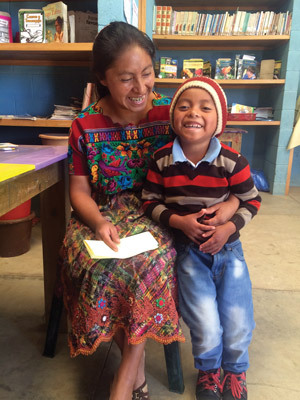 Reproductive rights and access to contraceptive information and methods are critical to Guatemala’s future. The population growth rate (second highest in Latin America, after Haiti) is clearly not going in the right direction. While the fertility rate has declined significantly in the last 20 years, from an average of five children per woman down to 3.1 per woman, it is still far above the replacement rate of 2.1. In 1950 Guatemala had a population of under 3 million, whereas today it is estimated at 17 million. I love Guatemala and have chosen to spend nearly one-third of my life here. But I believe the country will never prosper until it gets a handle on its excessive population growth. Poverty levels here are increasing (now up to 60 percent of the population), making Guatemala the only country in Latin America where poverty rates are not dropping. 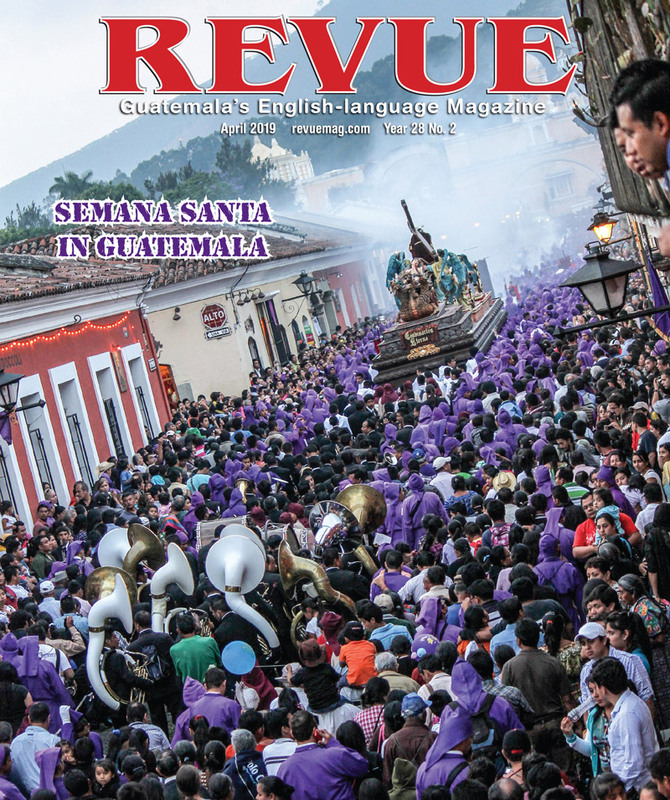 While resolving population growth alone will not provide all the answers to an improved life for the majority of citizens, without serious Guatemalan commitment to this issue the country will be much more challenged to address its hugely unequal income distribution, criminality, inadequate public education system (in which the average citizen completes only five years of school) and healthcare provision, and its difficulty in attracting foreign investment. Because of these firmly held beliefs, I have chosen to commit major efforts to addressing the deep needs for reproductive rights, health and family planning provision. 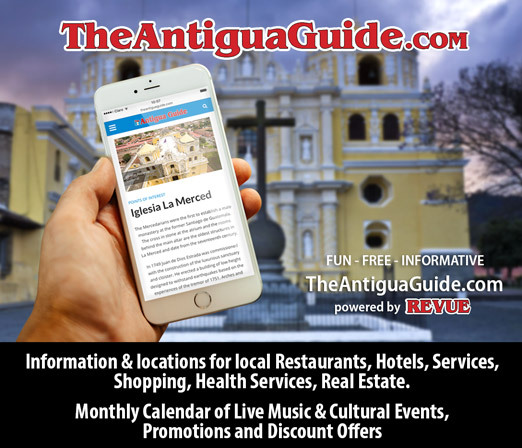 Shortly after retiring to Antigua, I began working informally in this sector, and to my surprise soon found myself starting a new nonprofit organization. The result is WINGS, this year celebrating its 15th year as a Guatemalan nonprofit as well as a U.S. 501(c)(3). With considerable help from dedicated and skilled leadership and staff, WINGS has exceeded my wildest dreams. We now have a presence throughout nearly half of Guatemala, particularly in the areas surrounding Cobán, Antigua, the south coast, and increasingly in the western highlands. We’ve had to overcome many challenges — machismo, myths, religious beliefs, fundraising (we receive no funding from either the U.S. or the Guatemalan government), among others. But with help from faithful donors and local advocates, we continue to grow. Nearly half of Guatemala’s population is under the age of 15. During this year, WINGS has focused particular attention on adolescents, who are getting pregnant at younger and younger ages (with nearly 1,000 births annually to girls as young as 10). One-quarter of girls 15-19 years old have been pregnant, and 20 percent of 18-year-olds have two or more children. In our counseling of all people, but particularly of adolescents, we talk initially about LARCs (long-acting reversible contraception, i.e. the five-year implant and the IUD). Obviously these two methods do a much better job at preventing unwanted pregnancies than do shots, pills and condoms. And we are providing adolescents with either of these long-acting methods for free. Other clients pay only a minor sum for their chosen method, with the most expensive being Q50 ($6.50) for a vasectomy or tubal ligation. WINGS never wants cost to be the deciding factor in whether to use a family planning method or not. However, purchasing methods and providing them at way below their cost to us has been and continues to be a challenge. At least 25 percent of our annual budget goes to this purpose, but it is our highest priority. Of course getting someone to the point where s/he wishes to adopt a method usually takes a big investment of the staff’s time in educational talks and personal counseling –alas, there is very little “low-hanging fruit” out there! WINGS distinguishes itself from many other organizations with its dedication to four key tasks: focusing on rural areas, excellent quality of service, high patient satisfaction as shown by patient follow-up, and monitoring/evaluation. Sue Patterson dicusses ideas with youths. Over the last 15 years, we have educated and counseled 216,332 women, men and youth on family planning, screened 50,278 women for cervical cancer, prevented 1,269 child deaths, prevented 82 maternal deaths, and avoided 225,022 unintended pregnancies. We seek your moral and financial support, as well as help in spreading the word about our critical work. 1999 Sue Patterson inspired to start WINGS when she is approached to help seven women pay for tubal ligations. 2001 WINGS achieves 501c3 non-profit status, hires full time staff, and screens 200 women for cervical cancer. 2006 WINGS begins using VIA and Cryotherapy in our Cervical Cancer Prevention Program, allowing for same day delivery of results and treatment of precancerous cells. 2015 WINGS opens stationary clinics in La Antigua Guatemala and Cobán; incorporate vasectomies and tubal ligations into its services.